There’s always a lot happening around the Islands! Falkland Islanders have a great sense of community; along with annual events there are also impromptu, one-off occasions so ask around to find out what’s happening at the time of your visit. Look out for dances, craft events, shearing and sheep shows, the New Year raftrace and a whole range of lively fund-raisers. Annual dances include the May Ball, Winter Ball, Conservation Ball and Poppy Ball but pop up from time to time in Stanley and other larger settlements. Some are very fine affairs with ball gowns and evening suits but others have a casual feel. Brush up your foxtrot, quickstep, salsa or waltz and join in the fun. Beginners can easily be carried along, and will enjoy the fast pace of the Circassian Circle! 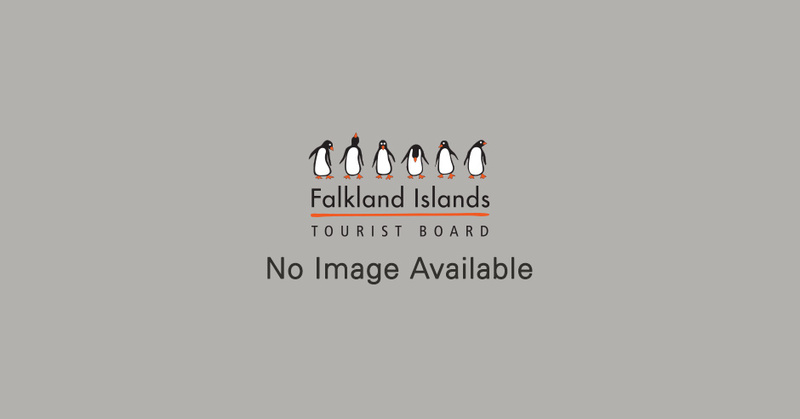 “Sports” is the Falkland Island term for events that link closely with farming activities. Horses are only occasionally used for farm work but proud horse owners enjoy the thrill of the chase at the races and demonstrating their riding skills at a gymkhana. “Stanley sports” takes place after Christmas at Stanley Racecourse, when people take to the saddle and also compete at other fun events including children’s races. Place a bet on the tote – there’s not a lot to lose! “Camp sports” are held at locations on East and West Falkland at the end of February with shearing, dog trials, the mechanical bull and treasure hunts adding to the entertainment. More recognised sporting activities do happen in the Falklands, of note is the world’s most southerly certified marathon which takes place in the month of March. Attracting participants from overseas as well as Islanders, this is great chance to compete in a friendly event where everyone is cheered with an enthusiasm that belies the small size of the population. The Lighthouse Seafarers Mission invites you to share in our 2018 3rd annual Christmas Tree Festival to be held at The Scout Hut - Stanley 13th -16th December 2018. An annual event for the whole community and through all age groups. The West Falkland Ram and Fleece Show will take place on the 29th December in the Coast Ridge Shearing Shed, Fox Bay. This is an open event and everyone is welcome. The Raft Race will start at 2.00pm. All rafts must be in the water and ready by that time. Registration and inspection from 12.30 onwards – all rafts must register, £20 per raft registration fee. Annual Falklands Craft Exhibition will be held in the FIDF Hall and is open to the public. Prize giving and raffle draw will commence at 4pm on Sunday. ****This event is usually in September with dates advertised closer to the time.